The reputation of Asians in America is that of an industrious, law-abiding, intelligent people. From the vantage point of the Black man, they are admirable in many ways. The Hon. Minister Louis Farrakhan has presented the Asians as a people worth studying and their Chinatown communities across America as a model worth emulating. The Asians, one would think, are the ideal immigrants in a “nation of immigrants,” whose presence could only strengthen the United States of America. So it is astonishing that a century ago, another “ethnic group” with essentially the same reputation undertook a campaign to slander the Asians with the vilest language and pushed for laws to get them banned from entering the country. That aggressive mob was NOT the Ku Klux Klan, or the Nazis, or an early al-Qaeda—it was the “Chosen People of the Bible,” the Caucasian American Jews. When the dust settled, the Asians were labeled the “Yellow Peril,” and they were all popularly believed to be drug addicts, rapists and despoilers of white women, and natural criminals. Sound familiar? All American ports were legally closed to any Asian immigrant for two generations. When The Hon. Minster Louis Farrakhan declared in The Final Call last October that “WE Are At War!” he was reminding us in forceful language that the ongoing war against Black people has now intensified. Asians were the victims of a very similar war, but there is not a single history book that discusses this incredible aggression led by the Jews—except that which The Minister released in 2010, The Secret Relationship Between Blacks and Jews, Vol. 2. Through careful study of that WAR we can actually arm ourselves to fight this war—and win. Let us look at how and why the Jews attacked the Asian people and glean some lessons for our battles to come. More than a century ago, a set of laws were put into effect known as the Asian Exclusion Acts, whose purpose was to ban the entry of all Asians into the United States of America. Jewish leaders of every sector played a central role in this racist campaign. Samuel Gompers ran the largest labor union in history, the American Federation of Labor (AFofL), a role that earned him the rank of #41 in a list of “the Most Influential Jews of all Time.” Yet he was also described as one of “the most articulate champions of the anti-Oriental cause in America.” He was merciless in his rhetoric: “The barrier between ‘Caucasians’ and ‘Asiatics’ was insurmountable [and] either we exclude them by law or they will be driven out by force of arms.” “The Yellow Man,” Gompers said, “finds it natural to lie, cheat, and murder”; opium was “the pride of ‘John Chinaman.’” Further, “ninety-nine out of every 100 Chinese are gamblers,” he wrote. Leading rabbis asked President Rutherford B. Hayes to sign the bill restricting Chinese immigration. Rabbi Judah Wechsler wrote to the American Israelite: “The Chinese element [is] an injury to the further development of any city, for they have no interest but their own and never identify themselves with our institutions. Their future emigration is, however, now wisely prohibited.” The 12-term Republican congressman from San Francisco, Julius Kahn, a Jew, was so adamant about eliminating the Asian that he authored legislation that became known as the Kahn Exclusion Act. From the floor of the United States House of Representatives he portrayed all Asians as subhuman and genetically disqualified from American citizenship. The Secret Relationship says that “every single anti-Jewish canard later applied to the Jews by Adolf Hitler was employed by Congressman Kahn against the Chinese. Every single one.” Leading Jews, including rabbis, politicians, and media leaders, all participated in this wickedness. The question is WHY? The fact is the Asian culture posed a unique economic threat to the Jews. They “pool their resources,” and they “work in a collective manner.” They were doing EVERYTHING that The Most Honorable Elijah Muhammad asked Black People to do to achieve success. The Secret Relationship explains that by 1900, all other “nonwhite” races and groups in America had been subdued. Millions of Indians had been slaughtered, many thousands locked in utter dependency on reservations. Millions of Blacks—former slaves—had been pushed back into servitude on Southern cotton fields. Asians, on the other hand, had come to America with an entrepreneurial history very similar to that of the Jews. The Chinese were resourceful and culturally autonomous and knew exactly how to establish a viable and independent economy. “The Chinese have got the Jews by the horns,” wrote one Jewish newspaper. Another warned, “the crafty Mongolian [Asian] has advanced a step further, and beats the Jews and the Yankees at their own game in the most uncomfortable manner.” The Jewish Progress newspaper declared, “It is impossible to compete with the Chinese.” This represented all the ingredients for a real clash of economic titans. The Jewish reaction to the Asian challenge was to leverage the power of their whiteness to destroy their most able competitors. And this is why the Black Man and Woman seeking to master our massive trillion-dollar economy are in the bull’s eye of the Jews today. Through this well-hidden history of their assault on the Asian people, Jews have shown that they have the power to crush anyone that challenges their business and trade dominance. The false and debilitating Jewish ruse of “non-economic liberalism”—foisted upon the well-meaning Blacks in the earliest days of the NAACP—disabled our REAL progress so that we would forever be dependent consumers and needy “friends” of the Jews. 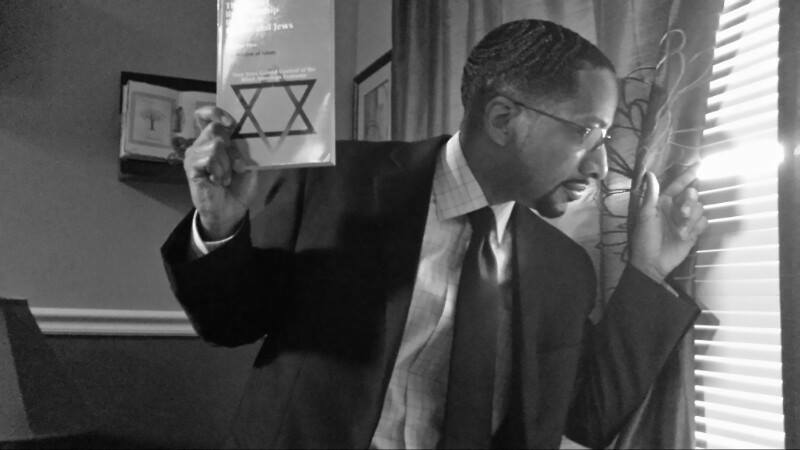 But as Minister Farrakhan moves to overcome centuries of Black economic illiteracy and rebuilds our economy one brick at a time, what do you think the Jews have planned for him and for us? As the Minister said, “Business is Warfare,” so observe the historical relationship between the Jews and the Asians, and get ready. The Asians are a remarkable people. They overcame these incredible disabilities, and they are now looking in their rear-view mirror at the Europeans. Nearly twice as many Asians have college degrees as do whites, and their per capita incomes are higher than whites. In a mammoth rebuke of the Kahn–Gompers Jewish legacy, the Chinese now manufacture almost all of the world’s commodities, including every stitch of the U.S. Olympic team uniforms as well as every toaster, telephone, TV, and computer in every American home. And the once-mighty Caucasian governments now bow and pay their massive debts at the Great Wallet of China. If the Civil Rights Establishment needs a lesson in how “We Shall Overcome,” the Asian example is a great place to start. As The Minister said, “Our ignorance will be the means of our destruction.” So let us learn from history, choose life over slavery, and get busy.